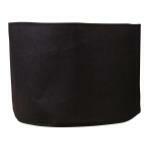 Smart Pots are eco-friendly and effective fabric pots. 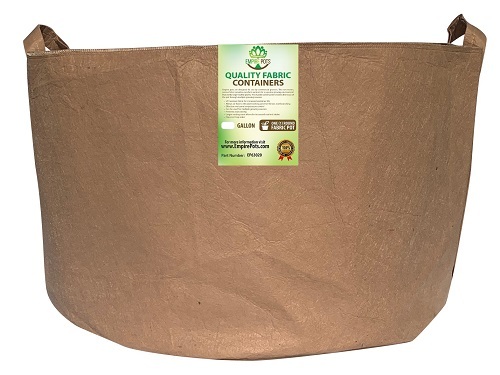 These soft growing containers are more productive than plastic pots because they allow air to reach the soil and roots, improving drainage and keeping the root system from overheating on hot days. Smart Pot's design also allows the air to prune the plant root structure and prevents plants from becoming root-bound! 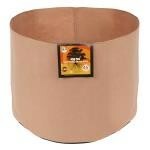 These pots are available in black and tan. The dimensions of these 200 Gallon containers are 50” W x 24” Tall. Therefore, these pots will hold approximately 27.3 cubic feet of soil. 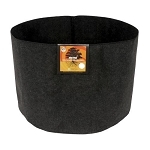 Gro Pro Fabric Pots deliver better airflow to plant roots, provide structure without trapping water and increase plant growth. 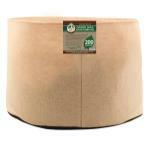 Gro Pro 200 Gallon pots are available in black and tan. 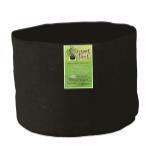 Round pots measure 50"W x 24"H. Round pots will hold approximately 27.3 cubic feet of soil. 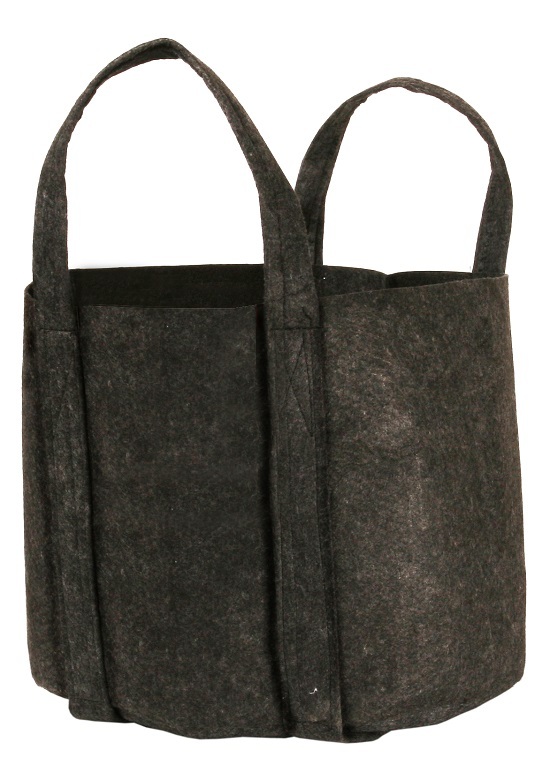 Under normal growing conditions, these are expected to last for 5 – 7 years. 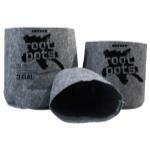 Root pots are made of a biodegradable material that helps facilitate airflow and promote healthy root growth. These pots will break down after multiple seasons of use, approximately three to five years. 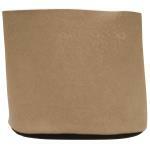 However, they are strong enough to withstand winds, work great with drip lines and within hydroponic systems. The dimensions of this 200 Gallon container is 50”W x 24”H. 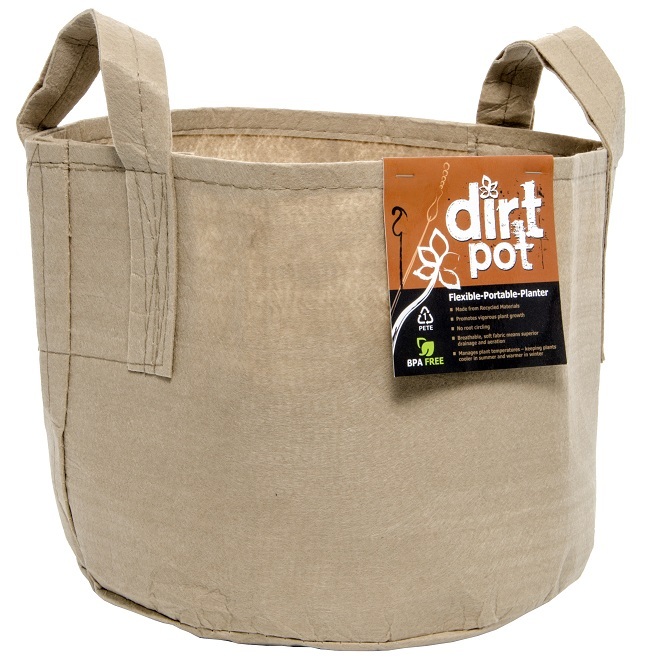 This size pot will hold approximately 27.3 cubic feet of soil.